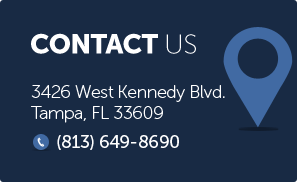 If you have been arrested in the Tampa area for a dui charge, you will need the services of an experienced dui attorney who is willing to provide expert and quality service unique to your needs. You may wonder what sets us apart from other firms. You may wonder “why should I hire you?” At Finebloom, Haenel & Higgins we are proud to offer the highest level of experience, knowledge and dedication available to clients fighting a dui charge. At the law office of Finebloom, Haenel & Higgins our dui attorneys have extensive knowledge of dui law and the possible defenses. One of the founding partners was a former prosecutor of the year who spent time traveling around to various parts of Florida training new state attorneys techniques to prosecute dui cases. When he left to start his own practice he took this knowledge with him along with some of the top attorneys of the area. To this day, attorneys, law enforcement agencies and even some judges call our firm to request lectures regarding the law and new dui developments or just to ask for clarification on aspects of dui law. There is no firm that spends more time focusing on the latest laws, techniques and defenses relating to dui than the attorneys of our firm. We use this knowledge to help you fight your case. The law office of Finebloom, Haenel & Higgins handles hundreds of dui cases a year. We have taken many of our cases to trial. Even if the case did not proceed to trial we have represented hundreds of clients in motions to suppress or dismiss within the courtroom. The attorneys in our firm have over 30 years of combined courtroom experience. This means we have the experience necessary to see your case through from beginning to end. When you hire us, it is for the entirety of a case. The knowledge and experience acquired by the dui attorneys in our firm has given each of our attorneys the opportunity to meet several players in the field of dui. We have access to technicians, doctors and other experts who can assist us in preparing your defense. These experts are available to testify if necessary. Our unique ties give us the extra edge needed when exploring and presenting defenses for you. At Finebloom, Haenel & Higgins we understand that each client and each client’s case is different. No two people have the exact set of circumstances that led them to our office. Not every client has the same goal when it comes to resolving their case. At our firm, you are not just another file. You are an individual. We strive to make sure that each and every client feels satisfied that they have received the individual service and attention they need while dealing with the upheaval caused by the dui charge. At Finebloom, Haenel & Higgins each and every dui attorney in our firm is dedicated to providing this level of quality representation. In addition to our dedication we provide easy accessibility through phone, e-mail and, at times, Skype services. You will not only have an attorney, but also a paralegal and other specialized support staff available to answer any and all of your questions. In addition, our attorneys are available 24/7 for emergencies should they arise. You won’t know the best option for you unless you call and have your concerns addressed by an experienced and compassionate attorney. At Finebloom, Haenel & Higgins we know you will not find a more dedicated, professional or zealous defense team than ours. Our knowledge and experience allows us to be more prepared, more accessible and more successful than the competition. We can help you today! Call us now at 813-775-4135. Let our team help you fight your case!